The Hedon Blog covers communities in Hedon, East Yorkshire. Established by Ray Duffill at the beginning of last year, he has since gone on to launch the HU12 site as well. This post is part on the ongoing Hyperlocal Voices series. I set the Hedon Blog up after being made redundant from a career in Community Development. The Hedon Blog was set up as a hobby to keep my ‘hand-in’ with new social media tools I’d discovered on the web whilst working in my previous job as a Community Development Manager in Blackpool. Specifically, I wanted to find out if Hedon had any community and voluntary groups operating in the area. On the surface it seemed that very little community activity was going on in the town. That was my initial impression and a view shared by neighbours and relatives who had lived in the area much longer. The process of setting up the blog and nurturing its development has enabled me to re-discover my home town. Hedon is no longer just the place I live – it’s a place I’m proud of and love! I set up the blog on WordPress.com. It took me two minutes to set up and think of the highly original “Hedon Blog” title. The first post was written in February 2009. I pressed ‘publish’ and thought “What next?”. I had no plan and no real objectives or goals to aim towards. This is not a model to follow! Using my legs, eyes and ears I explored and unearthed the ‘undiscovered country’ of a small but thriving community infrastructure in the town. I reported back on my findings on the blog. And, as the ‘word-of-mouth’ spread, then people began sending me in notices of community events and other activities in the town. Whilst working in Blackpool I had found about Nick Booth‘s (Podnosh) ‘Social Media Surgeries‘ taking place in Birmingham. Inspired by those, I made an early commitment that I would only use social-media tools that were free, easy to use and share, and that could be easily taught to others. The internet should be about liberating community news and information. I abide by these ideas with the Hedon Blog. Any community can do what I do – you don’t need shed-loads of dosh in order to obtain an effective online voice. Having financial backing and a friendly geek obviously helps – but they are not essential. The next major influence was Talk About Local and its first ‘un-conference’ in Stoke. From being an isolated individual I was suddenly part of a major phenomenon that involved people from across the country and the world. We even had a name for what we were doing – hyperlocal! Adam Westbrook has been the other major influence on the blog’s development. I heard him speak and was inspired by his views on the future of journalism. Locally, in Hull, digital developer Jon Moss has helped through setting up Hull Digital. Individuals met through this network have offered me enormous encouragement and support. 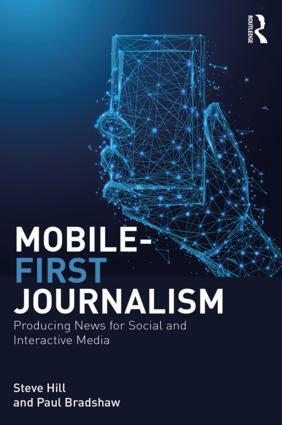 I obtained Adam Westbrook’s e-book on Newsgathering for Hyperlocal Websites and now run the site as a news gathering operation. Learning from some of the journalistic methods described in that publication has enabled me to put the blog on a professional footing and achieve a credibility in the eyes of public and private sector organisations (as well as voluntary and community groups) who now regularly supply me with press releases and other material. In this sense I have ‘borrowed’ from the traditional media those things that can help me promote, inform and help build communities in my town. The Hedon Blog now sits as part of a wider website family under the www.hu12.net banner. This means I can concentrate community news via the Hedon Blog but now have an outlet for more contentious and controversial material – and a means to obtain some advertising income. I have grown a local audience largely by word of mouth. In my fist month of operation I got 213 visits (WordPress stats) but get those figures and more every day now with occasional daily spikes of over 500 – 800 visits. I never approached this from a business or journalist point of view – but rather as a civic duty or community activity. The downside of this approach is the obvious: a lack of income to re-invest in the project and to pay for its main motivating force: Me! This activity has brought me great pleasure but has been draining on time and personal resources. This entry was posted in online journalism and tagged adam westbrook, hedon blog, hull, hull digital, Hyperlocal, Hyperlocal Voices, jon moss, Nick Booth, podnosh, ray duffill, social media surgeries, talk about local, yorkshire on November 15, 2010 by Paul Bradshaw. “I noticed a recurring theme from the bloggers’ perspective on their role – something unique to online journalism, and which I’ve commented on before: the duty to make things findable. “Bloggers repeatedly referred to information about the local democratic process that was hidden away on council websites – and which they worked hard to make available and interesting to their community. Council meeting times; minutes; planning meetings. “At one point someone said that the bloggers were there to “hold power to account”. Not always in the active sense of posing difficult questions – but also in making the invisible visible; the obscure findable. There’s a nice comment below saying it “is the closest anyone, including me – has ever got to stating what my blog is about.” Full post here. This entry was posted in blogging and tagged Hyperlocal, hyperlocal govcamp west midlands, hyperwm, podnosh on October 8, 2010 by Paul Bradshaw. Journalism.co.uk have a list of this year’s “leading innovators in journalism and media”. I have some additions. You may too. I brought Nick in to work with me on Help Me Investigate, a project for which he doesn’t get nearly enough credit. It’s his understanding of and connections with local communities that lie behind most of the successful investigations on the site. In addition, Nick helped spread the idea of the social media surgery, where social media savvy citizens help others find their online voice. The idea has spread as far as Australia and Africa. This entry was posted in blogging and tagged Adrian Holovaty, alex hughes, Chris Taggart, christian payne, django, documentally, jlist, journal local, Journalism.co.uk, list, mashable, matt buck, meg pickard, Nick Booth, Pete Cashmore, Philip John, podnosh, rick waghorn, simon willison, social media surgeries, tony hirst on July 22, 2010 by Paul Bradshaw. As part of an ongoing series on recent graduates who have gone into online journalism, Guardian Beatblogger Hannah Waldram talks about her education and experience leading up to her job, and what it involves. I graduated from the Centre for Journalism at the Cardiff School of Journalism, Media and Cultural Studies with a diploma in newspaper journalism in June 2009. During the course, I followed developments in online journalism – spurred on by my tutor Glyn Mottershead – attended journalism and hyperlocal conferences across the UK, started a personal website to showcase my work (hrwaldram.co.uk), played around with new online tools and invested in some new tech (Flip cameras, netbooks), blogged a lot, as well as various bits of work experience including the technology desk at The Daily Telegraph and Media Guardian. I also bought the domain name bournvillevillage.com and began brewing ideas for a hyperlocal website for my hometown area in Birmingham. After completing the course and while sending off applications for trainee reporter jobs, I continued to set up Bournville Village. There’s a vibrant network of bloggers in Birmingham who gave me advice, support and ideas, and the blog launched just in time for some unusual gun shootings in the area. Bournville is bursting with local news and history and is poorly covered by the regional press – so the blog was well-received by the community. It was also a great way for me to practise my skills as a journalist. Soon I was offered three jobs – two in traditional media and one in new media. I went for new media. 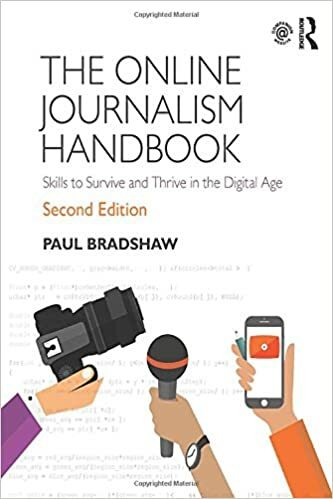 I started working as a social reporter for Podnosh and online editor of westmidlandsdance.com for Meshed Media – in these roles I learnt a lot about civic engagement, online communities and multimedia journalism. I am now the Guardian Beatblogger in Cardiff. You can read more about the local project here and Local editor Sarah Hartley explains the role of a beatblogger here, I also recently published some tools I use on the job here. I’ve since passed on bournvillevillage.com to Dave Harte who is a runner in Bournville and helped out from the outset. Under his editorship the site continues to thrive and unravel the hidden stories of the area. This entry was posted in blogging and tagged bournville village, dave harte, glyn mottershead, Hannah Waldram, meshed media, New Online Journalists, podnosh, sarah hartley, westmidlandsdance.com on July 15, 2010 by Paul Bradshaw.